Become a confident and outgoing person who enjoys company through the power of this subliminal album! Do you think you’re too withdrawn? Do you find it torturing to talk to people you don’t know well? Do you fear all the time that you’ll embarrass yourself and say something wrong? Would you like to be able to be more outgoing and gregarious, someone people will want to be around? You know that you are better than that, but you just can’t seem to shake this feeling off when you’re around people you don’t know well. Belief that you’re not worthy, funny, outgoing enough is something you have learned a long time ago. The reasons can be different, but they all have one thing in common: they exist only in your mind, as something it has adopted as true. And just like it once adopted this negative image of self-worth, it can also adopt the positive image - you can build your confidence all over again and start feeling safe around anyone. This is done by repetition of positive statements which are sent directly to your subconscious in order to override the resistance of conscious mind and to achieve success in changing your self-beliefs faster. Positive messages on this album will gradually make you more outgoing and confident, and slowly you will become the extrovert you have always wanted to be. Eliminate your limiting beliefs - that your opinion isn't valued, that people will laugh at you or judge you, that you will embarrass yourself. You will become free from worrying what other people think simply because you’ll start believing in yourself more. Make you want to socialize and meet new people. You will lose the need to hide from people - as you become more outgoing, you will realize how easy and fun it can be to talk to strangers and to be around people. Help you to become relaxed around people, allowing your true personality to shine. Your newly gained confidence will allow you to express your opinion without fear and to socialize with strangers just as easily as you do with your longtime friends. You will easily find your way in any conversation, without holding back or limiting yourself. It will help you to just be yourself, to thrive on the attention instead of shying away from it.It will make you more comfortable around groups of people. Most of all it will make you more outgoing, help you to speak your mind and give your opinion rather than staying quiet and "inside your head". 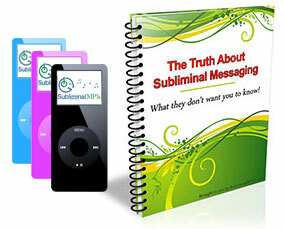 If you want to be seen as more confident, as someone people want to be around and feel comfortable with - if you want to get more opportunities in life then download this subliminal mp3 album and start making changes to your self beliefs today.